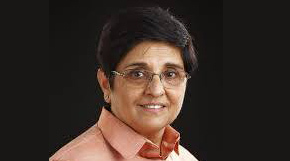 Former Anna team member Kiran Bedi joins BJP, says PM Modi’s inspirational leadership got her to join the party. She will contest the Assembly elections but the decision on the seat is yet to be taken. Congress gave a ticket to President Pranab mukherjee’s Daughter Shramishtha in its third list of candidates. Also, Delhi BJP chief Satish Upadhyay lodges complaint with the Election Commission against Arvind Kejriwal for his allegations of a nexus between Upadhyay and power companies. Aam Admi party stands by its allegations.